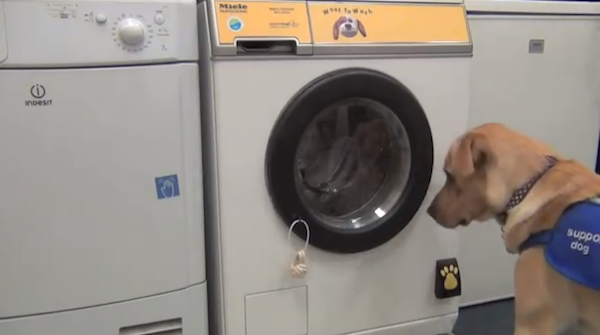 UK laundry company JTM Service has created the world’s first ‘dog-operated’ washing machine that is activated by a dog’s bark. 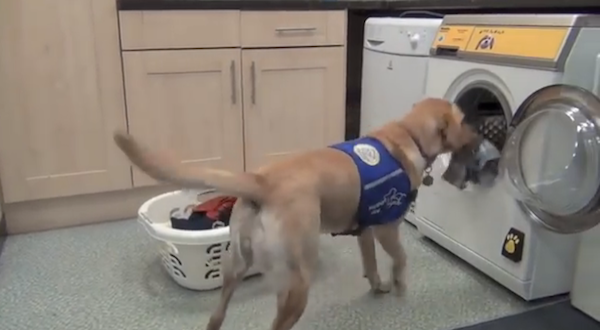 Called ‘Woof to Wash’ machines, the washing machines—developed in partnership with appliance company manufacturer Miele, for Support Dogs UK —hopes to make the lives of those with disabilities easier. 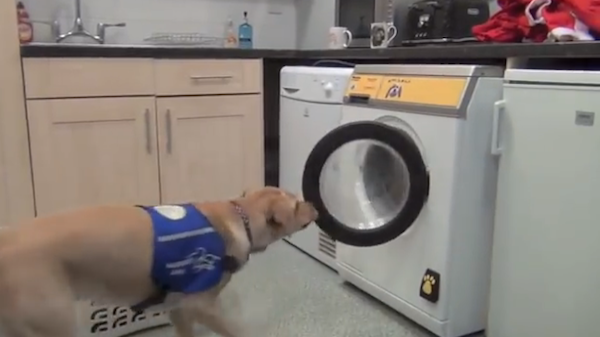 Disability assistance dogs have been trained to help persons with disabilities dress and undress, strip beds and even load washing machines—Woof to Wash lets these support dogs help a step further by letting them operate the machines. 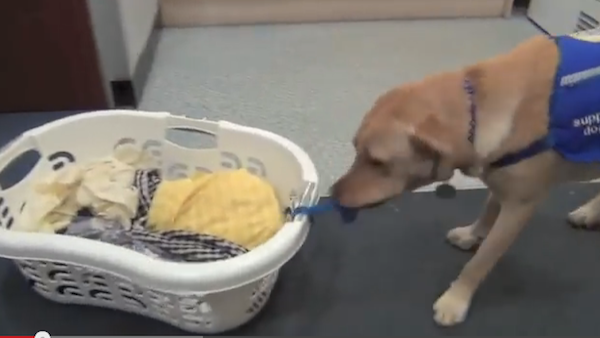 To unlock the machine, these four-legged helpers just have to press a foot pad. To open the machine door, they just have to use their mouths to pull the attached rope. After loading the machine and closing it with their noses, to start the cycle of the machine, the canines just have to “woof”. The machine would automatically add the measured amount of detergent from its storage bottle, as needed for the load. What do you think—another innovation to make lives of those in need easier?